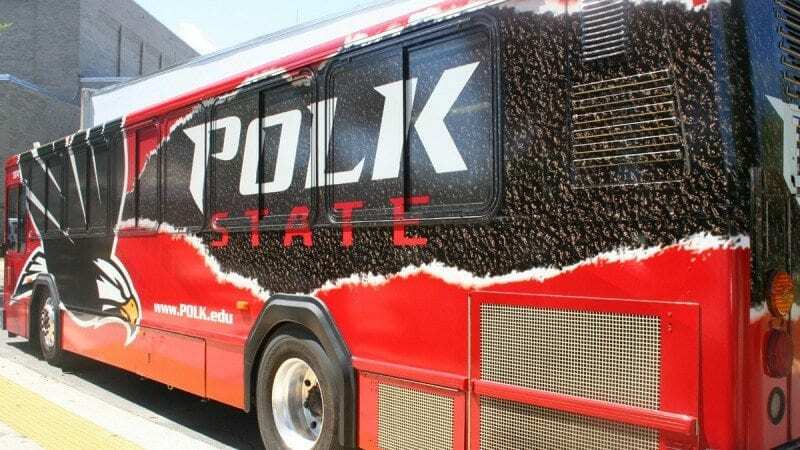 As we get ready for the Spring term, don’t forget that Polk State College has a partnership agreement with the Polk Transit Authority which allows all College students and staff to ride any Polk County transit route for free. Show the driver your College-issued ID, and you can ride anywhere W.H.A.T. and the Citrus Connection runs throughout the county. Also, beginning January 5, 2015, the Polk Transit Authority and Winter Haven Area Transit (W.H.A.T.) will be eliminating Route #11, one of two transit loops that serve Polk State College’s Winter Haven campus. Elimination of Route #11 is due to the sun setting of a 3-year Job Access Reverse Commute grant that was provided to the Polk Transit Authority from the Federal Transit Administration in 2011. Polk State Winter Haven will continue to be served by Route #30, also known as W.H.A.T.’s Legoland route. Route #30 runs between the Winter Haven Terminal and Eagle Ridge Mall on a 90-minute frequency. On weekdays, it will stop at the Winter Haven campus nine (9) times between 5:45 AM and 7:00 PM. On Saturdays, four (4) trips to the Winter Haven campus will be offered between the hours of 9:45 AM and 3:00 PM. Getting to class has never been easier!